Korea is a country of regions, provinces, and towns. People feel strongly about where they come from and where you come from, too. Each region has its own reputation and its own way of doing things, but the differences aren’t always visible ones. South Korea has had too much destroyed, by war and by overenthusiastic modernization, to show the diversity of its regions in something as obvious as architecture. But it’s hard to destroy food and food memories. 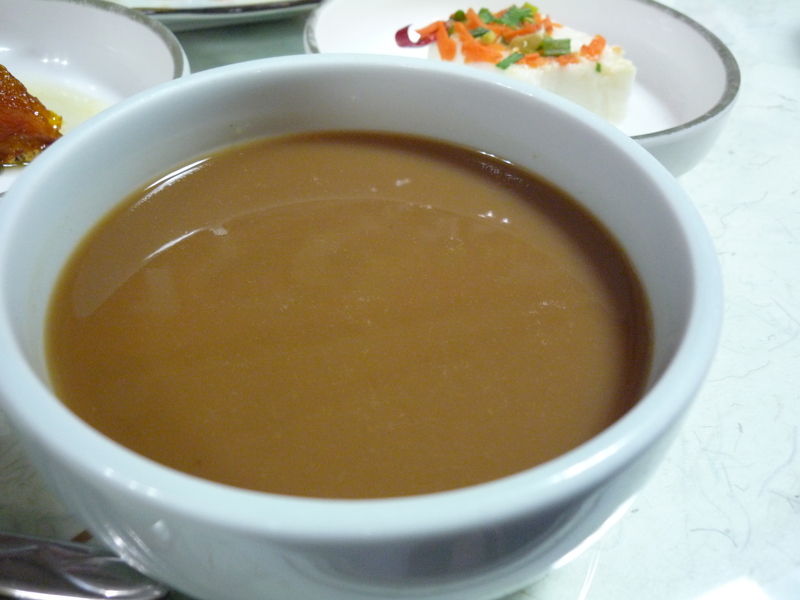 Seoul, a city full of people who came from somewhere else, is overflowing with restaurants named Suwon Galbi, Mahsan Ahgu-jjim, and Chungmu Kimbap, each name consisting of the name of the town and the dish it made famous. Korea is a small country, North and South together the size of Minnesota, but regional pride drives food culture as much as its drives politics and society. But what did that mean, gamchil-maht? Different people we talked to had different theories of what made Jeolla-do food special, but it was never anything simple and pat, like, “They have the most refined, royal palace-style food,” or “They have a way with bean sprouts,” or “They use more fish sauce than anyone else.” I looked up gamchil-maht in a dictionary and found “savoriness, deliciousness,” which didn’t help me understand what actually made Jeolla-do food savory and delicious. Talking to our parents, we came to understand gamchil-maht meant a particular kind of deliciousness. Flavor that’s sharper, brighter, subtler and yet more intense at the same time. Flavor that even if you’re full, draws you to eat one more bite and maybe another after that. Flavor that creates hunger even where there is none. So we had to return to Jeolla-do and to Jeolla-do alone. And appropriately enough, on our first night in Jeonju, we ate two dinners. 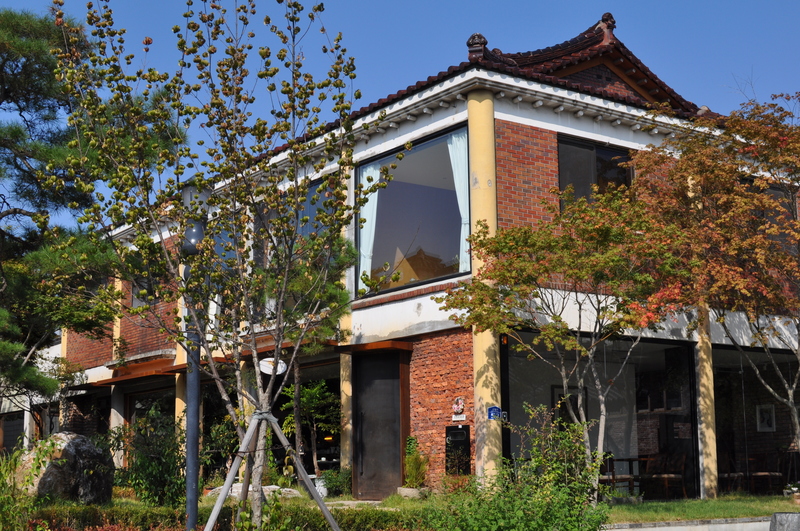 Jeonju is one of the larger cities of North Jeolla Province, only a couple of hours from Seoul. As you approach it, it looks like another Seoul suburb with high-rise apartments of no distinction. It does have a pretty little historic district, though, of old-style houses with curving slate-tile roofs and sliding doors covered in rice paper. The hanok village actually looks a little too good to be old. Although the village houses a working paper factory, several craft centers, restaurants, and a guesthouse or two, it doesn’t feel very functional. But I can imagine in 10, maybe 20 years, the paint will have faded a bit, the tiles won’t be so shiny, and the village will feel more authentic. Since we were in Jeonju, we felt like we had to try the dish that bears its name, Jeonju bibibimap, even if Diane and I had already tried it at the most famous restaurant serving this dish, 가족회관, Gajokhoegwan, in February and met the owner. This time, though, we decided to go elsewhere, and we ended up at 성미당, Seong Mi Dang. We thought it might be the native favorite, the way New Haveners in the know prefer Modern Apizza to the more famous Sally’s and Pepe’s. The restaurant seemed nice enough and cozy with warm, wooden pillars. We started with a slightly boozy drink called 모주, moju, which smelled like cinnamon and tasted as grapey as Manischewitz. In classic Korean fashion, we were told it was good for you. The bibimbap we were eating wasn’t bad. It was definitely too spicy, so that the red pepper paste overwhelmed the other flavors, but the ingredients were fresh and various and the colors bright. 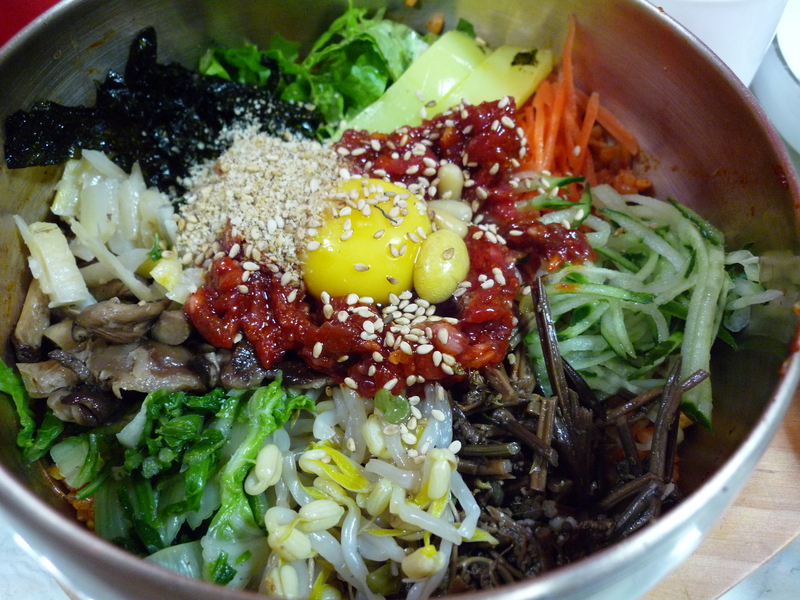 It was more or less as good as any bibimbap I’ve had on 32nd St. in New York. 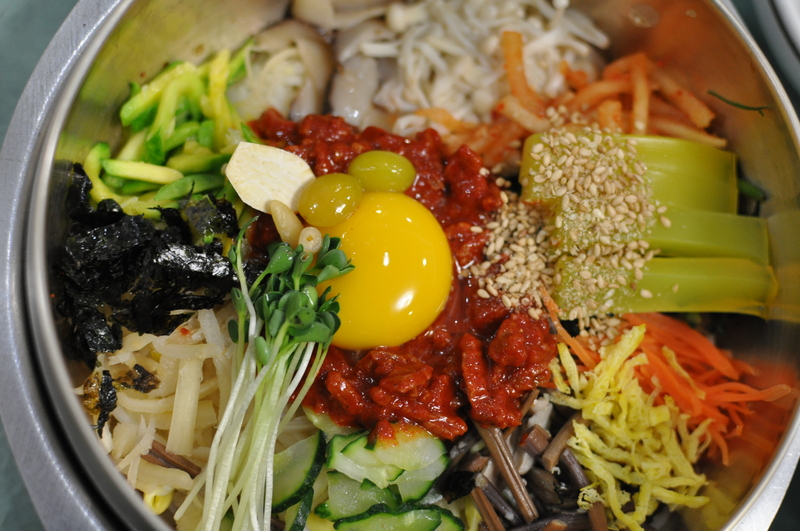 We almost started to wonder if it was all in our heads, if the Jeonju bibimbap at Gajokhoegwan was no different, if we had just imbued it with mystery and wonder because of the surreal experience we’d had there. There was only one thing to do. We had to go eat at Gajokhoegwan. It didn’t matter that we were so full, that we’d had a big lunch on the road to Jeonju, or that we had days of eating ahead of us. Luckily, Gajokhoegwan was just down the street. We didn’t order another 6 bowls of bibimbap, but we did order two to share with a face-saving excuse about jet lag and loss of appetite. And as soon as the bowls were brought out, we knew we had done the right thing. The ingredients gleamed. There were one or two ingredients that had changed, perhaps being out of season, but you could see that Mrs. Kim ran her restaurant with the precision of a sergeant. Each ingredient was in the same place it had been last time. Here, the gochujang wasn’t overpowering. The brass bowl was in perfect balance, each bite revealing a new flavor and texture. On our way out of town the next morning, we stopped at the café with no name, one that we had found in February. It still didn’t have a name but it wasn’t hard to find again—it’s just a few blocks into the hanok village from the water wheel. 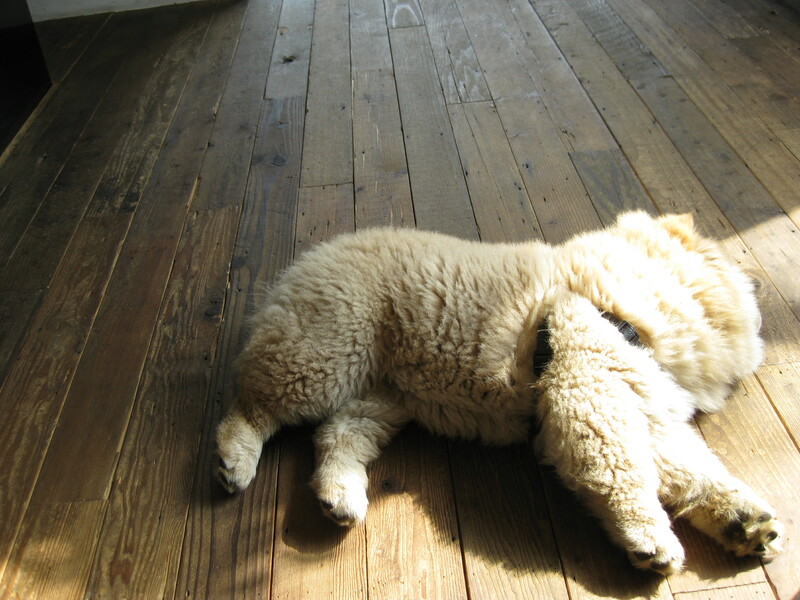 The building has a roof and frame that mimics the hanok houses, but the ground floor café is surrounded in glass, and from the street, you see a place with Korean antiques so beautiful they’re timeless, vivid modern art by the owner, and a very un-Korean looking chow chow guarding the door. They serve coffee, espresso, macchiato, all those words that thrill my Western morning heart when I’m traveling, but they also serve beautiful, delicate Korean teas. 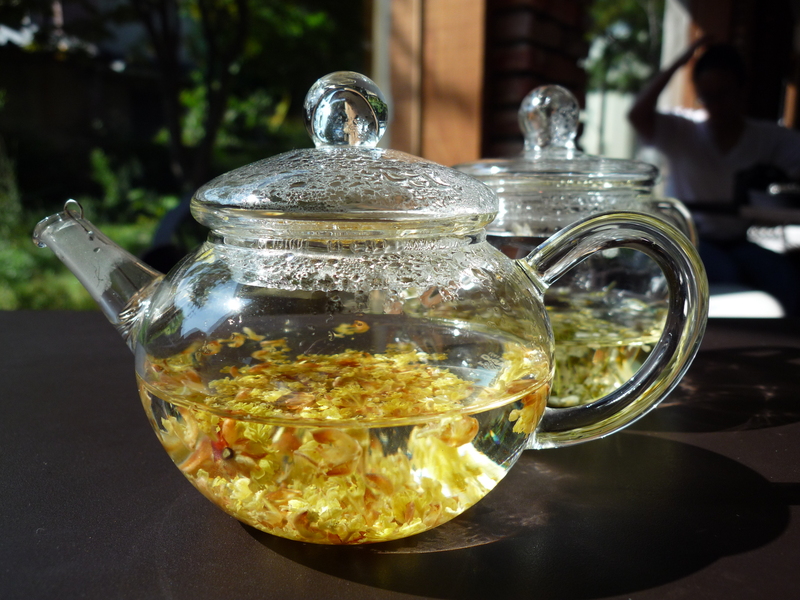 They have crowd pleasers, like green tea and yuzu-jam tea (yuja-cha), but they also have teas with names like ginger flower tea (saenggang-kkot) and April flower tea (sahli-kkot). The ginger flowers are yellow with a flavor I can’t quite place, but the April flowers are white and smell so clearly of honey. 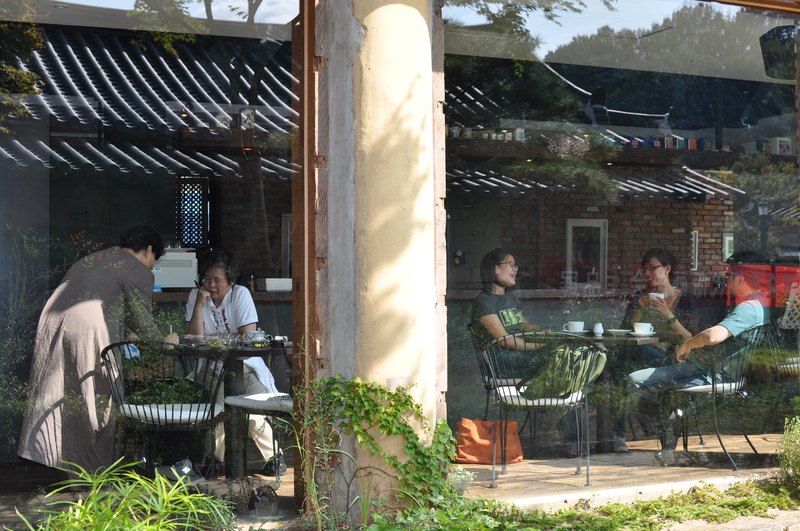 The teapots, the café, the bibimbap—they were all beautiful and careful at the same time. We had three more days left to figure out what it means that Jeolla-do food has gamchil-maht, but already in Jeonju, one thing was clear. Gamchil-maht doesn’t happen by accident.